Just Saying......: A visit to the Taj Mahal! 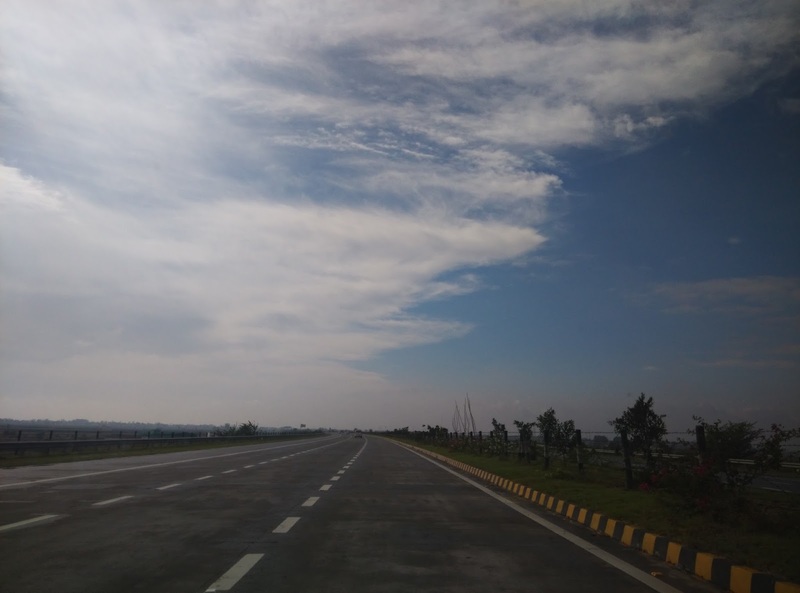 Theoretically it was possible - 250kms from Delhi to Agra and I had read a lot about the Yamuna Expressway and we had booked an A/C cab from our hotel in Delhi for the trip. 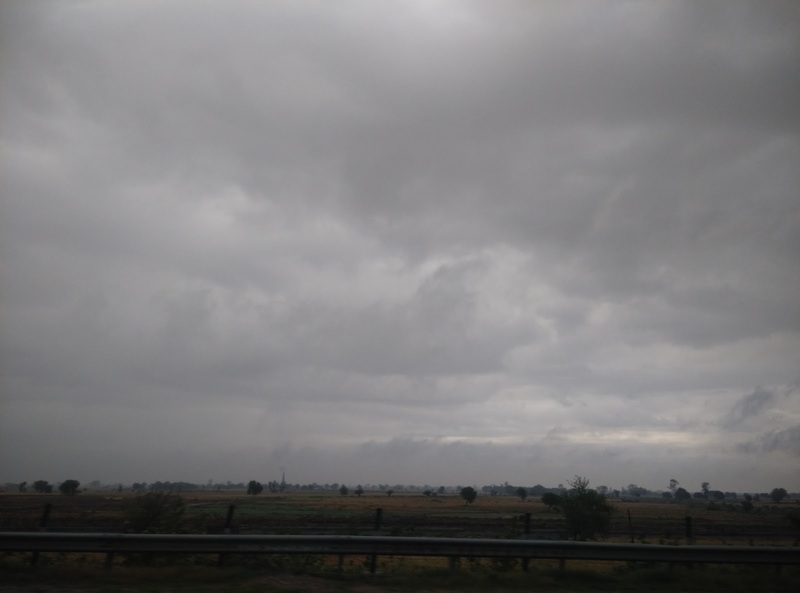 On the morning however we woke up late and we left Delhi at around 630am and to our bad luck it was raining very heavily with poor visibility until we passed Noida. The rain had already put us behind our planned schedule. But the good thing was that the weather became really pleasant. The road was awesome and I really wanted to drive the car. Then the unthinkable happened - A protest from farmers blocking the yamuna expressway before the Madhura toll gate. The toll gates were closed for the security of the vehicles leading to a long jam at the toll which wasted a considerable time. We finally exited the expressway and reached Agra and it was a nightmare from there. 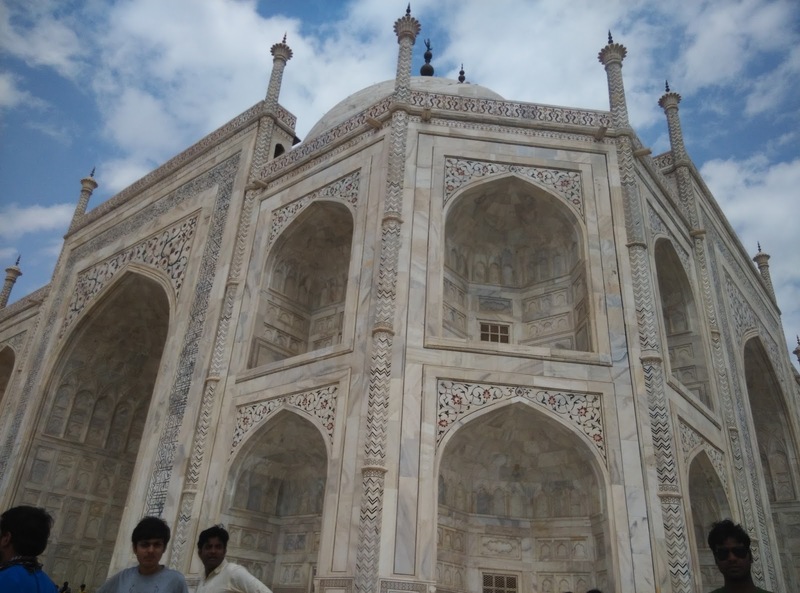 Agra has the worst roads and infrastructure to be hosting one of the wonders of the world. The roads were narrow and traffic cops were just sitting there instead of regulating the traffic and the whole place stinks. 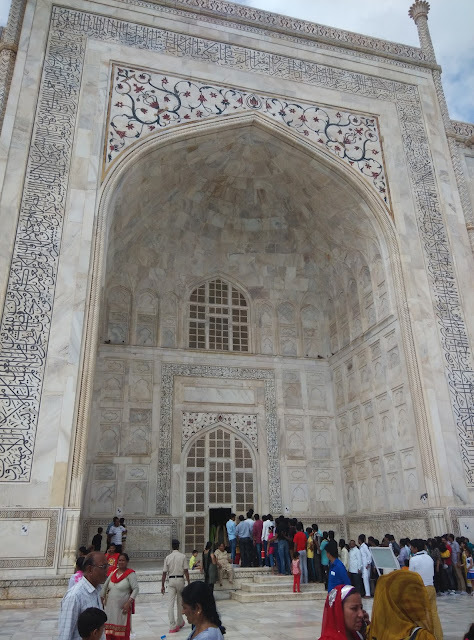 You might be wondering why I am writing all this but trust me this is all the part of the whole Taj Mahal experience. 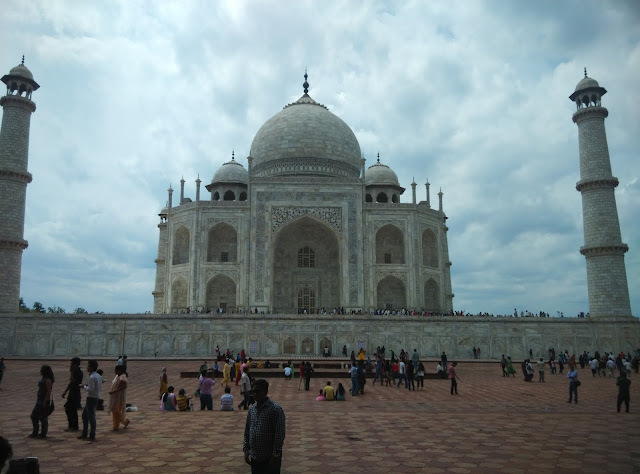 You finally reach Taj Mahal and they make you park at least 1km further from the entry gates. You can walk to the entry gates or take one of the electric cabby. The queue for the tickets is long and the queue to enter is even longer. So 2 advices here: 1) Buy tickets online 2) Avoid the main gate and use one of two side gates to enter. The driver advised us to use a guide which was actually a waste of money as he did not tell us anything that we already did not know. Now with WiFi enabled, you could read about it in wikipedia. So finally we were at one of the seven wonders of the world - Taj Mahal. It is truly magnificent and looks so pure. The surroundings is so peaceful. The rain had made the weather really awesome so all that was missing was the one whom you can propose to (remember ABD did that in front of Taj). 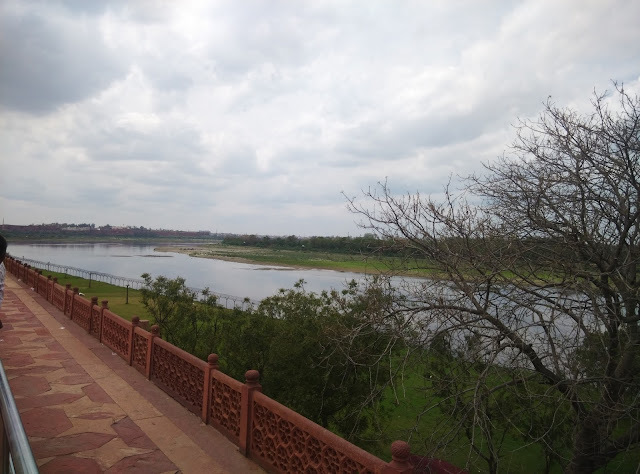 Most friends who visited Taj told me it was really dirty and the river also was not a pleasant sight but to my surprise it was actually clean. Then I was told that it was cleaned because Obama was supposed to visit the place in January. 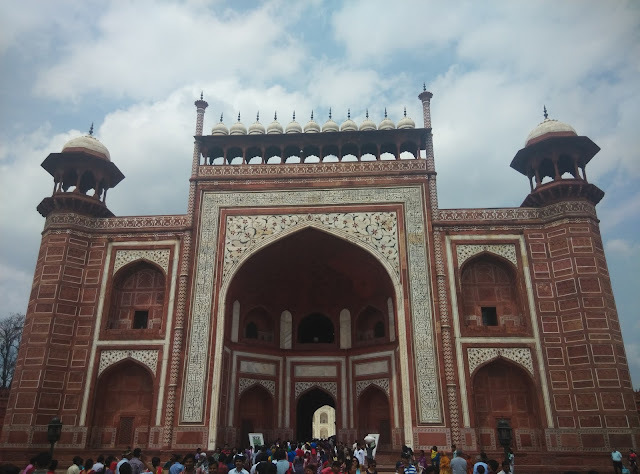 A word of advice here, if the place is crowded then it is not worth waiting in the queue to enter the shrine as the only time you will find Taj Mahal beautiful is when you look at it from a distance. 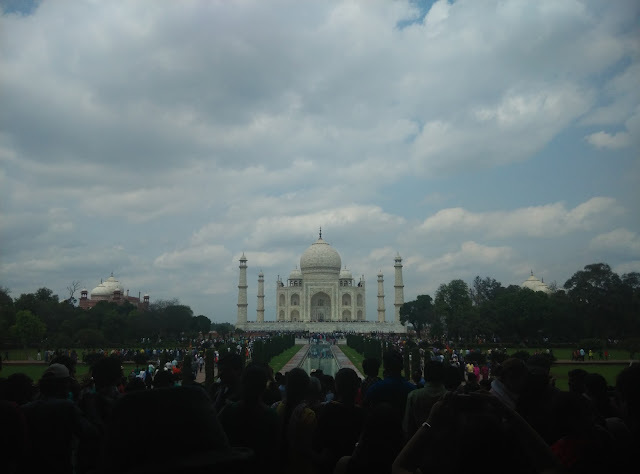 The below pics are taken from near the Taj. And you can observe the difference from the pics above.But yes if you truly admire art you can see a lot in the close up. Most of the art is a mixture of Hindu and Mughal culture. There are a lot of photographers (actual ones and not those tourists with dslr) who will shoot and print your photos for 30-50 rupees. I seriously felt we are way past the age of taking pictures with us holding Taj on our palms or pretending to touch the tip of the Taj with our finger. It is age of selfie now where you take a pic of yourself with Taj Mahal and a dozen more people in the background. If you have time then there is enough place near the Taj to sit and admire the beauty of the Taj. But yeah, the weather should be favorable too. Also the Yamuna river was cleaner than I expected it to be. The tour guide comes with an elaborate scam to take you to the most expensive hotels for lunch with food that is not worth the price and also making you buy sweets and clothes which if you buy from a store on your way back to Delhi will cost you a lot less. 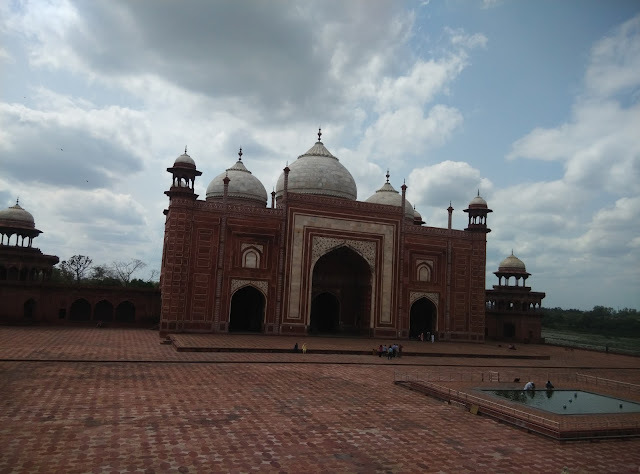 We skipped on all those and headed to Fatehpur Sikri. 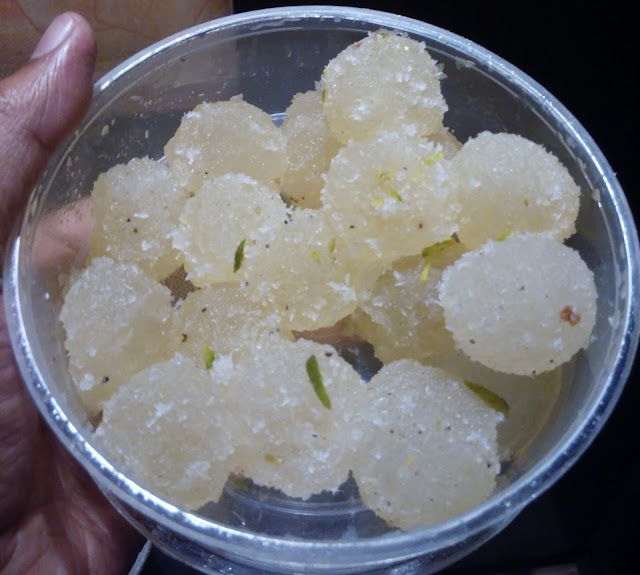 We asked the driver to stop by some dhabha and he takes us to yet another expensive place (drivers get commission for getting customers).